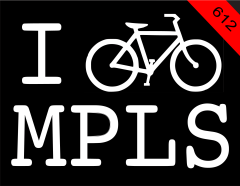 IBIKEMPLS.com - it's where I get all my news: Mississippi Crossing Ho! Word on the street is the Washington Avenue bridge is once again open to bicycles! Get out there and do it without getting a ticket whydontcha? Also, who wants to sell me their Nexus 8-speed internal red-band hub?